Divided into five modules and containing a complete overview of the topics in the EC-Council Blueprint, Rothwell and Garner's intermediate-level video-training course helps viewers master the essentials needed to pass the exam. The course commences with a general overview of security essentials, followed by an exploration of system, network and web services security, and a dive in to wireless and internet security. To test one's chops, the course offers quizzes, exercises and two full practice exams. 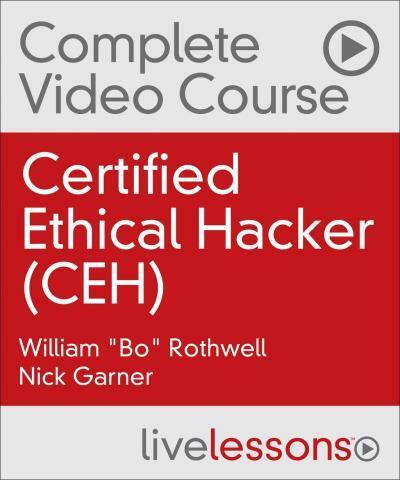 By providing the breadth of coverage necessary to learn the full security concepts behind the CEH exam, this video course helps prepare viewers for a career as a security professional.